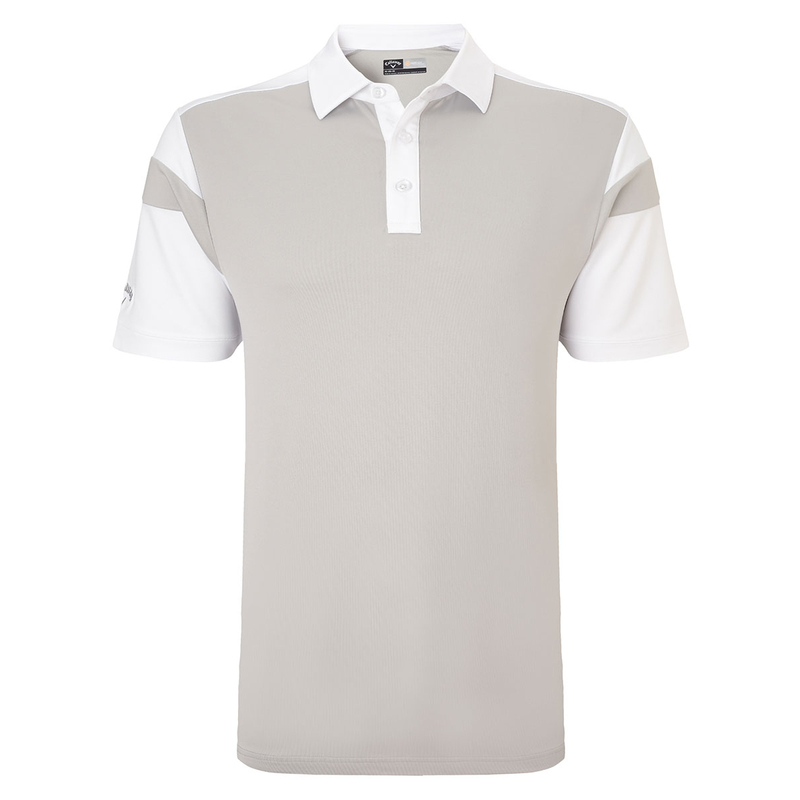 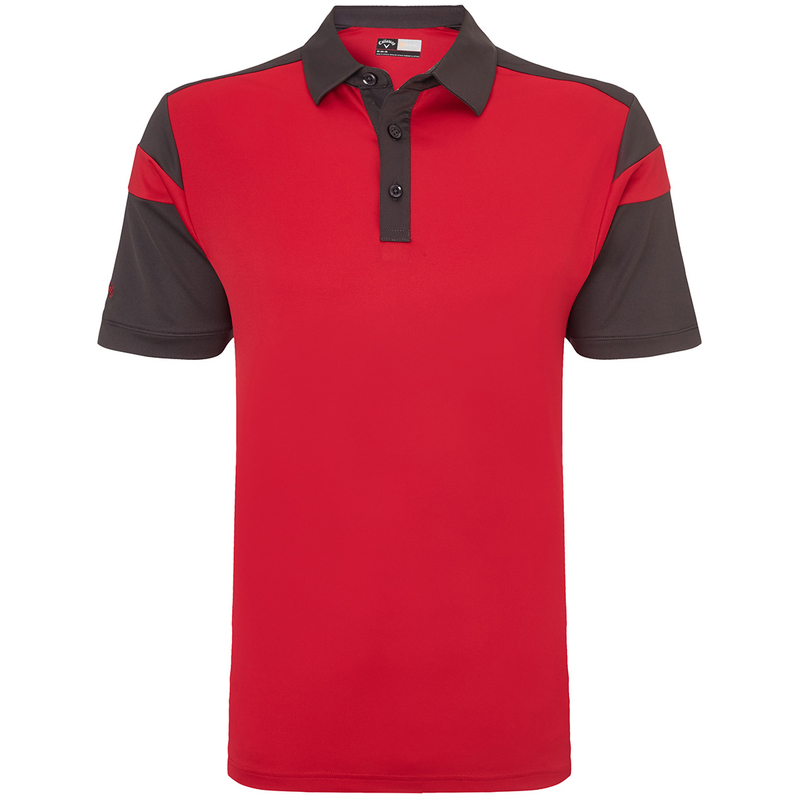 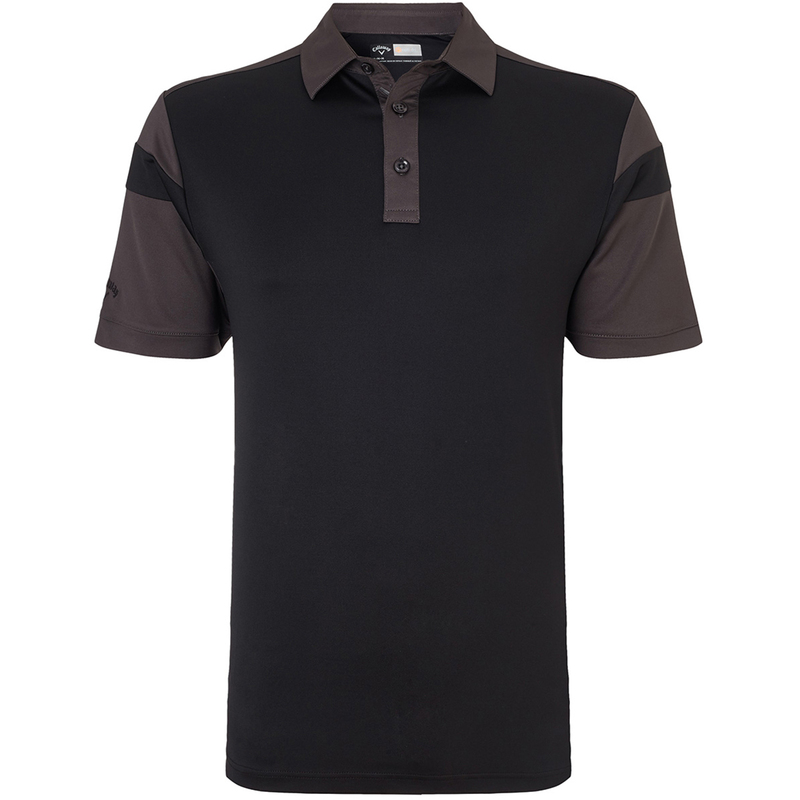 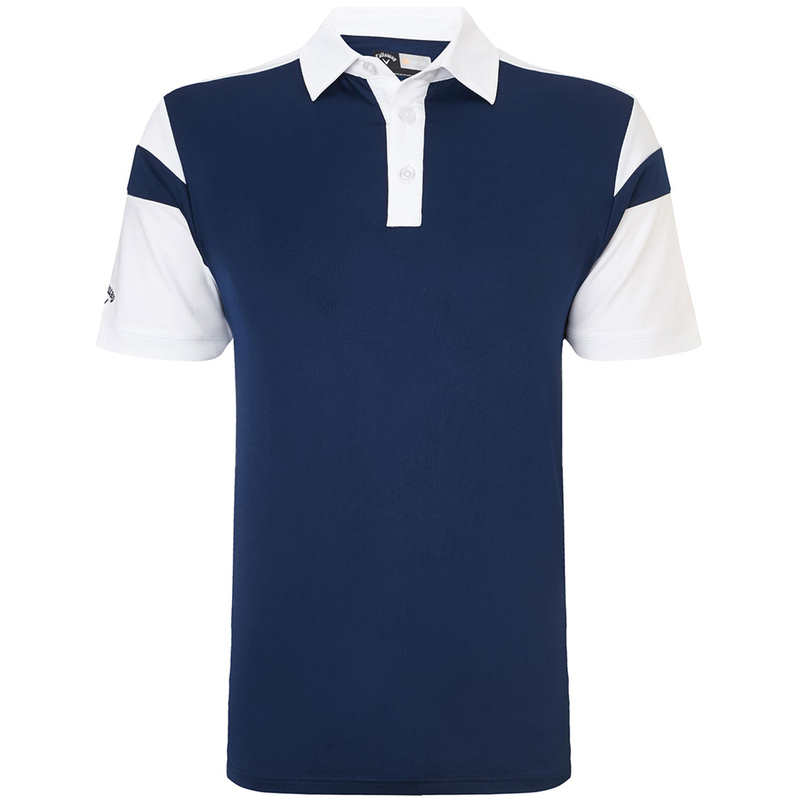 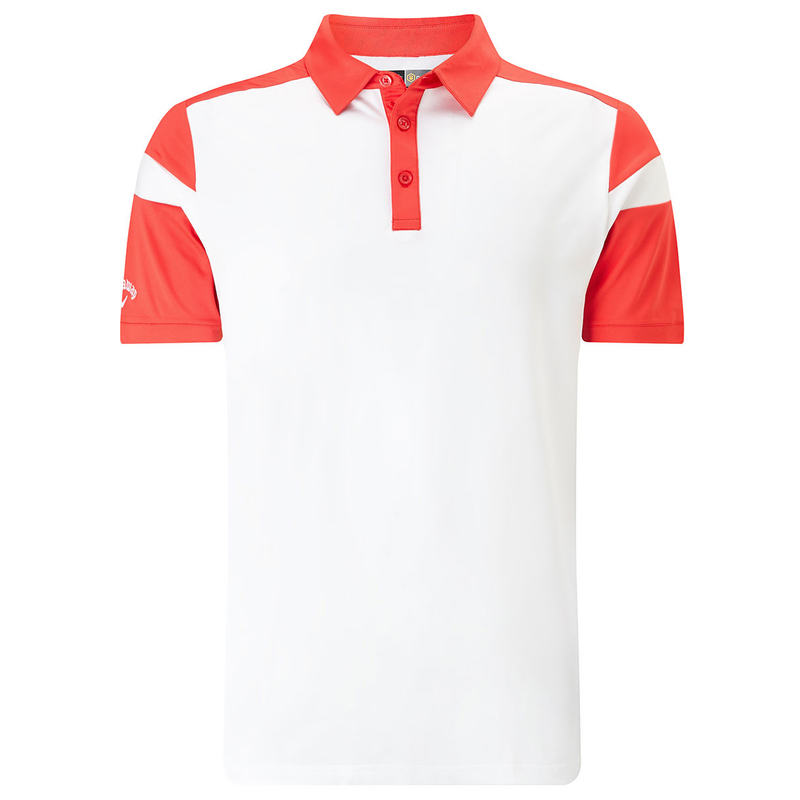 Style and the ultimate performance in the Chev Blocked polo shirt creates a must have this season. 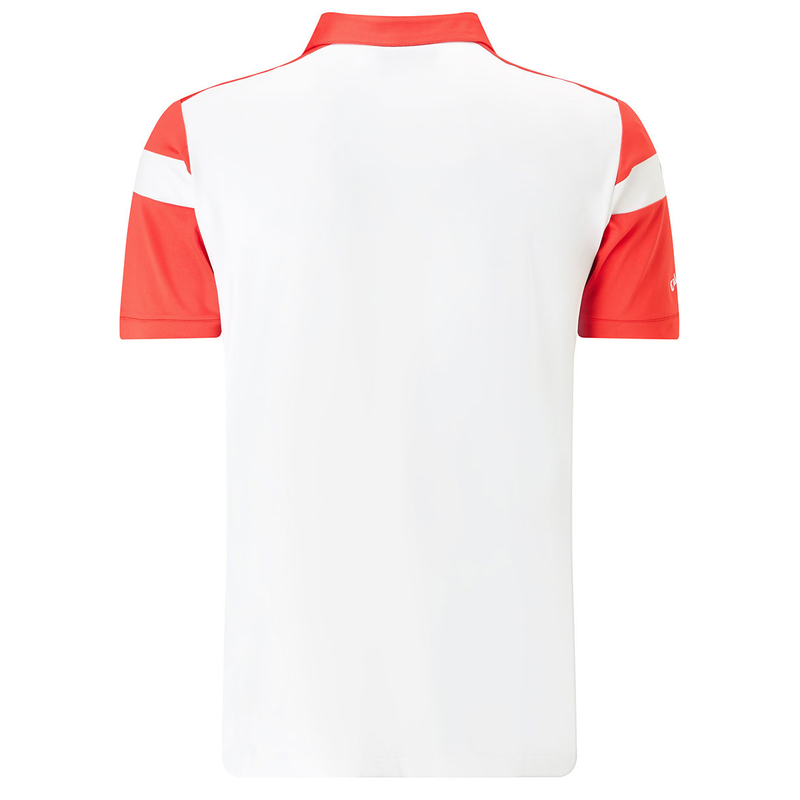 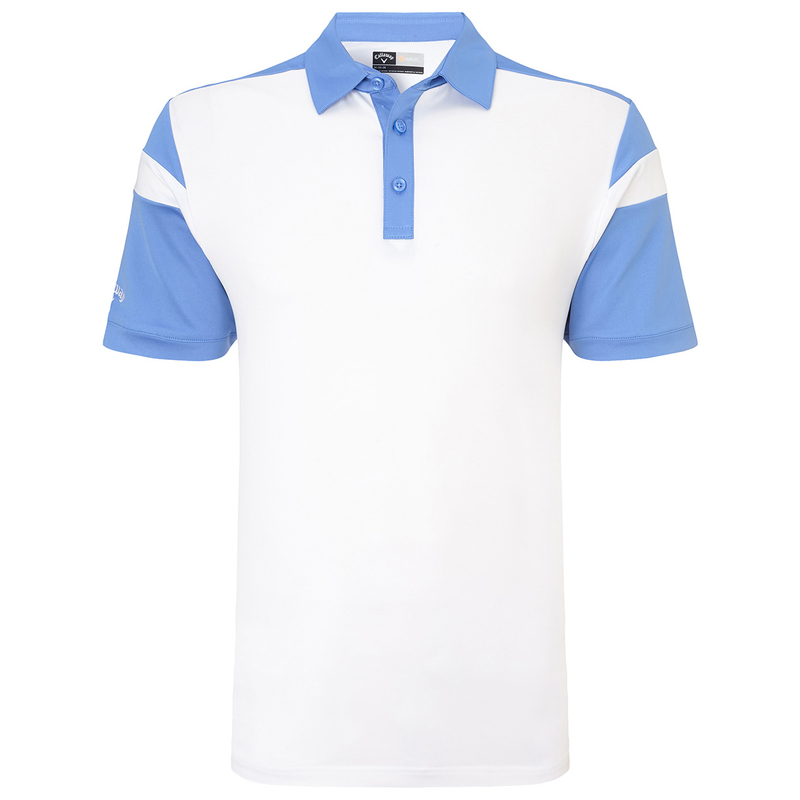 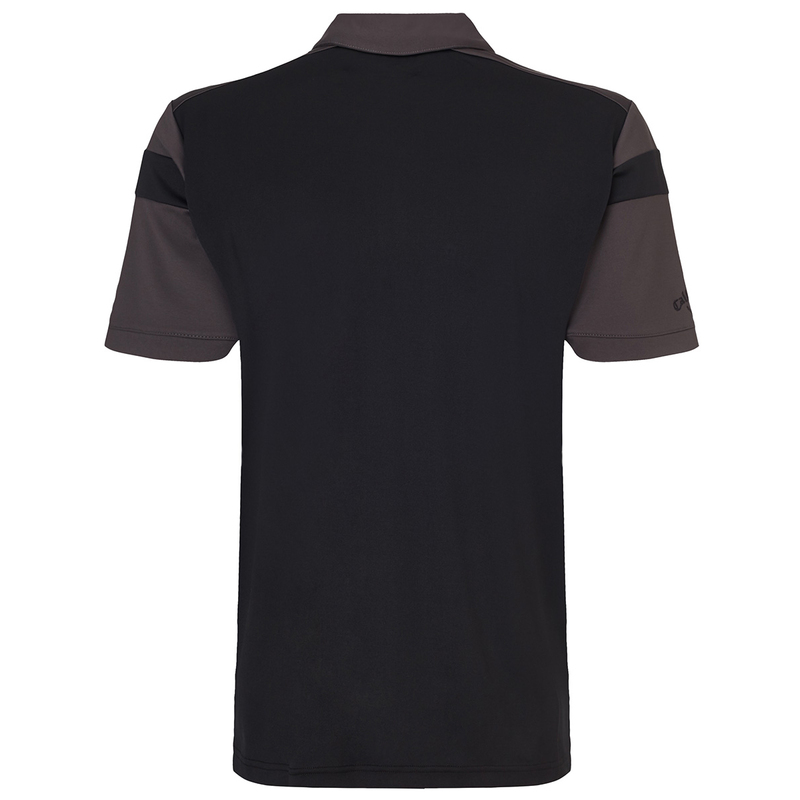 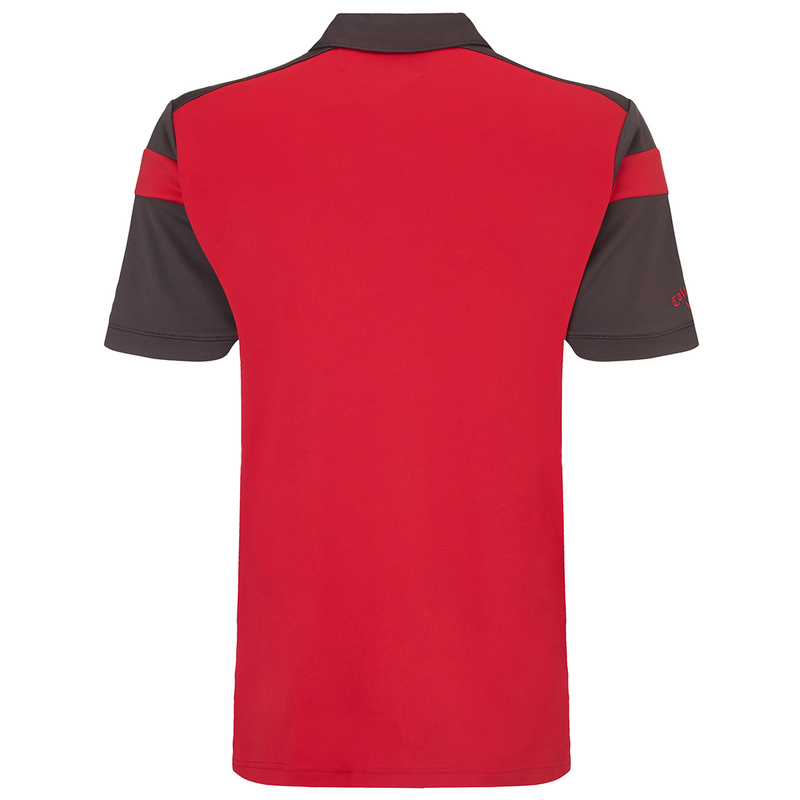 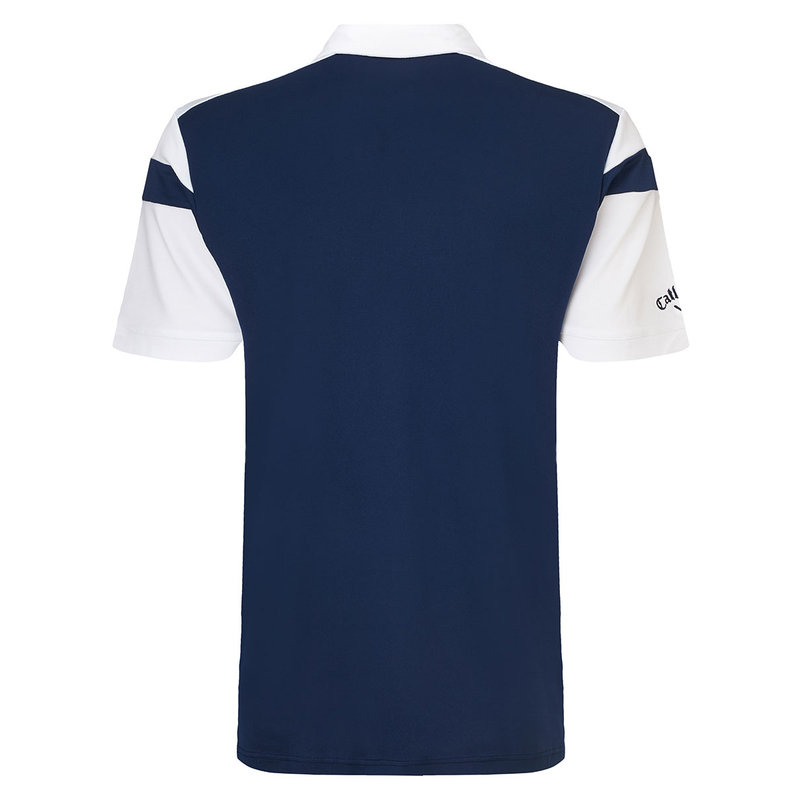 The contrast colour block shoulders, sleeves, collar and button placket provide an eye catching style while thanks to the special materials, this polo shirt is moisture wicking, breathable, stretchy for ultimate freedom of movement and also provides protection from harmful UV rays. 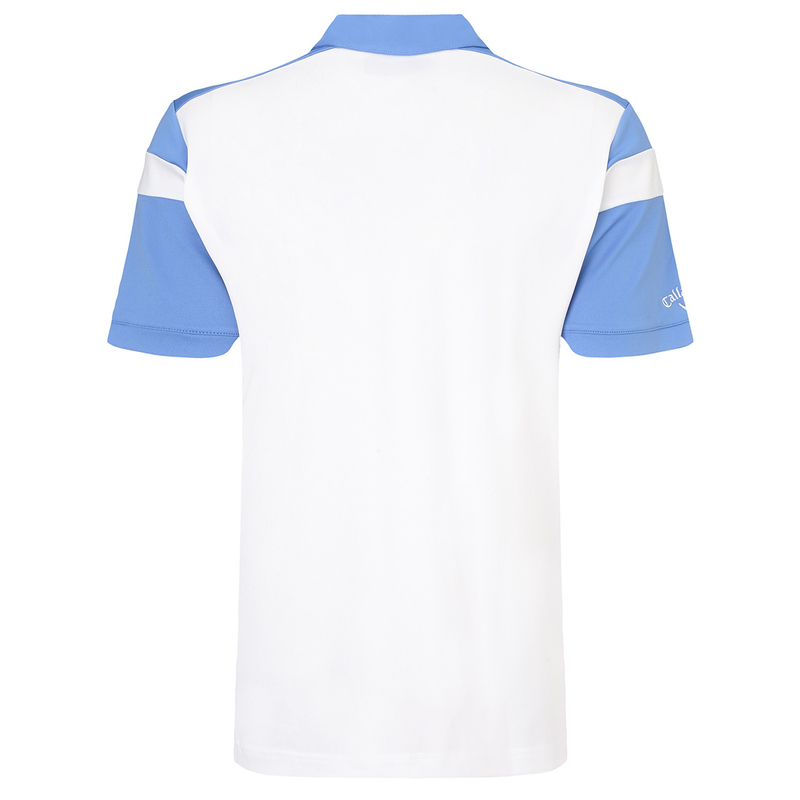 The design is complete with a Callaway tour logo embroidery on the right sleeve.